How do you search for a patent? It is an art, not a science - here is a good approach that uses free patent search engine strategies. Let's start out with a flat statement - patent searching is an art, not a science. There may be 5 variations of good strategies that find the most relevant prior art. But there are also probably even more strategies that do not work well. I am going to describe the search for a patent strategy that I use. I think it works very well. Let's also make another thing very clear - neither I nor anyone else can guarantee you a definitive answer on whether your proposed patent is novel and non-obvious. No patent searching strategy offers a guarantee. A successful search for a patent is always a trade-off between it's completeness and your cost and/or time. Why is that? The United States patent office includes more than seven million issued United States patents, and is classified in over 140,000 classes and subclasses. And, if you have read my article on searching the classification system you will understand that where patents are classified is not always intuitively obvious. There is always the possibility of missing a reference when you search for a patent. In addition to the difficulty of finding everything, the U.S. patent office maintains more than a year's worth of applications that have not yet been published so they are not searchable. They can, however, be used against you. You may want to read my article on patent novelty. In particular section 102(e) describes submarine prior art - those applications not yet published but invented before you invented. One other issue is non-patent literature. Most searchers, including me, do not do extensive searching in non-patent literature because of the size of the task. Could you miss important prior art? Yes - but as a general principle important and potentially lucrative inventions tend to end up in patents so that is the best place to search. Having said all that - in my somewhat limited experience of doing patent searches for about 12 years I have never been sandbagged by killer prior art. And I have occasionally found prior art that persuaded my client to not spend her resources on a patent. I am not saying my approach is 100% effective - simply that it seems to work very well. Before I describe it let me give you step zero. This is the up-front definition of the invention. If you don't have a clear idea of the invention, a good US patent search is very unlikely. I try to always force myself to write down what I think the invention is - then write down a preliminary list of boolean search terms. So what search for a patent strategy do I use? It is a sequenced combination of Boolean searching leading to some obvious subclasses to search, rapidly searching through those sub-classes followed by narrowing down to a shorter list, say 10-20 patents and then doing forward and backward citation searching on those. This may expand the 10-20 back up to 30 or more patents. Then a final reading of that final list tends to narrow the final list down to about 5-10 patents or applications that I choose to be the closest prior art. The initial Boolean searching is done on the complete description of the patent, not just the abstracts. Although this will often bring patents in that are not related in any way - it insures that I do not miss key ones. I do enough different boolean searches until I feel I have found a good set. 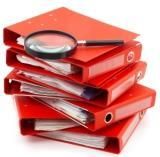 Then I examine these patents to determine the key subclasses they are placed in. From this I pick the one, two or three subclasses I will search. Doing a search for a patent in this manner often results in going over a potential list of more than 1000 patents - although I certainly don't read that many because often just the title will eliminate many of the patents in a sub-class. The next level involves quickly scanning the abstracts of a shorter long list maybe 100 patents. This is what enables me to eliminate the bulk of the long list and close in on the shorter list of 10-20. At this point I always search backward and forward citations of that semi-final list. This always brings in some more patents. Again I read the abstracts and for some scan the description in order to cull down to a final list of 5-10. For those 5-10 I read the descriptions and try to then identify the closest piece of prior art. I do not mean to imply that I do this rigidly. Remember , this is an art, not a science. Sometimes a finding during the search will cause me to alter the strategy slightly. By doing a search in this way I feel I can provide a useful search at a reasonable cost. I often read that Boolean searching is a weak approach, which is why you need to search the correct sub-classes. While that sound good - my experience is that the closest prior art is usually in the Boolean search results. But Boolean searching is definitely an art. This approach can be done with a number of different patent search engines. Elsewhere on this site I will describe the patent search engine from the United Sates Patent Office, Google, Delphion, and Free Patents Online. These are not the only ones but are all quite good. If you know of others you think might be better I would appreciate hearing from you and will be glad to investigate them.